Tidewater Beach Resort includes THE BEST amenities on the beach. The all inclusive amenities include 2 outdoor pools, 1 indoor pool, 2 hot tubs, 2 Roman spas, saunas and steam rooms, 4300 sq ft fitness center, library, internet cafe, free in condo WiFi, movie theater, 2 game rooms, a snack bar, on-site restaurant and bar, tiki bar, gift shop, free beach chair & umbrella service included, on site beach toys (parasailing, water bikes, kayaks, jet skis, paddle boards, beach volleyball), covered/gated parking, 7 elevators and 24/7 security. Tidewater is located on 636 feet of beautiful white sugary sand one of the most desirable beaches in the world. Free beach service includes 2 chairs and umbrella set up daily during your vacation. (Beach chair service March 1st to October 31st.) We've included this in your rate and it's a SAVINGS to you of $45/day. On site beach toys are available for additional fees including para sailing, kayaks, jet skis, paddle boards, banana boats and water bikes. 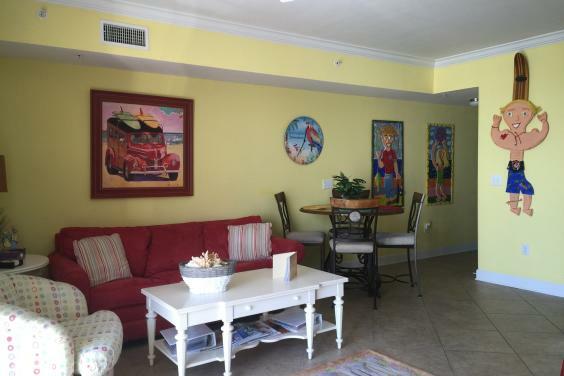 The condo is gulf front with many upgrades including granite counter tops, nine-foot ceilings, crown molding and tile floors. Did we mention LOCATION, LOCATION, LOCATION...what more could you ask for? We are literally 1/2 mile from Pier Park with 20+ restaurants and over 100 specialty stores, the 16 screen Grand Theater with an IMAX, and many more restaurants and shops opening daily. The all new Miracle Mile Amusement Park is now open next to Pier Park. The Russell Pier is directly across the street from Pier Park where you can fish off the pier and also where the fireworks go off on the 4th of July, New Year's, and many other times throughout the year. You literally can relax on the balcony and have a great view of the fireworks display. Tidewater is only a 10 minute drive from the new International Airport and Frank Brown Park where many sporting events are held. If you are coming to Panama City Beach for sporting events, you can't stay much closer than this! 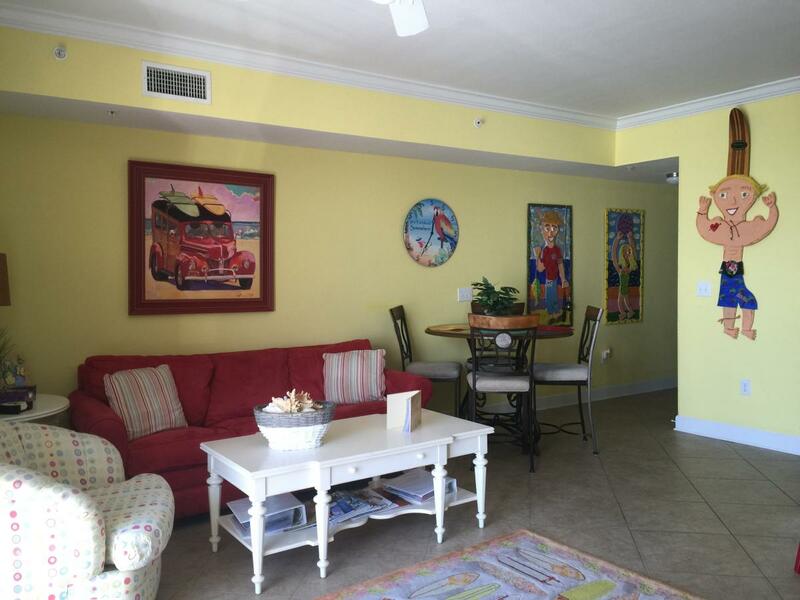 With all of the amenities and the location, there is no other place to stay at the beach!